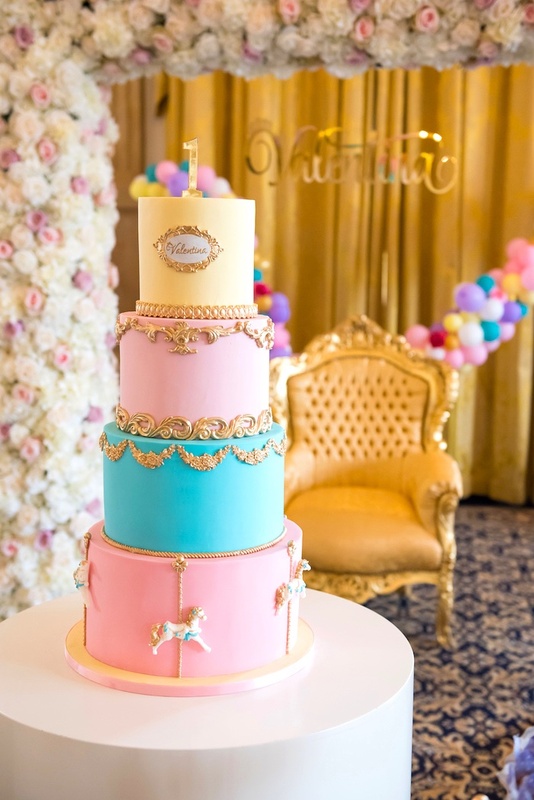 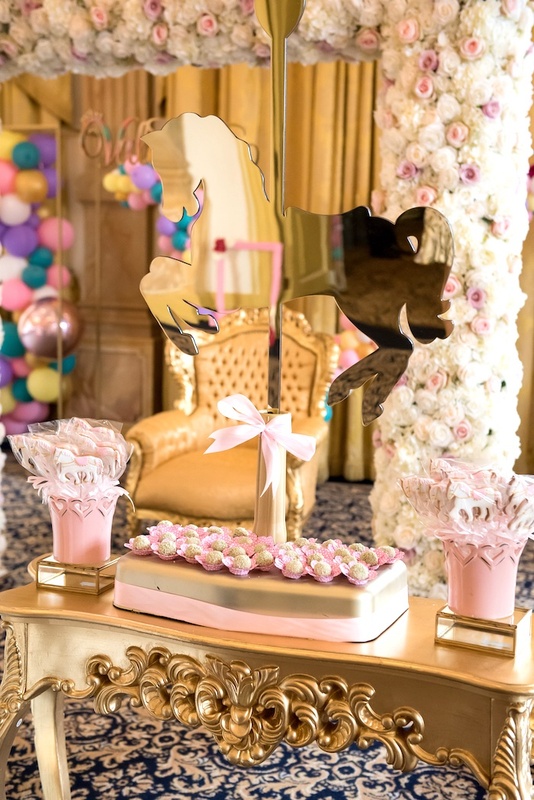 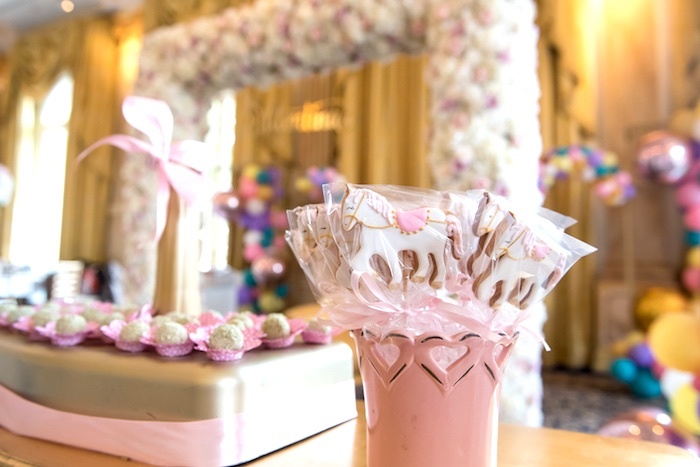 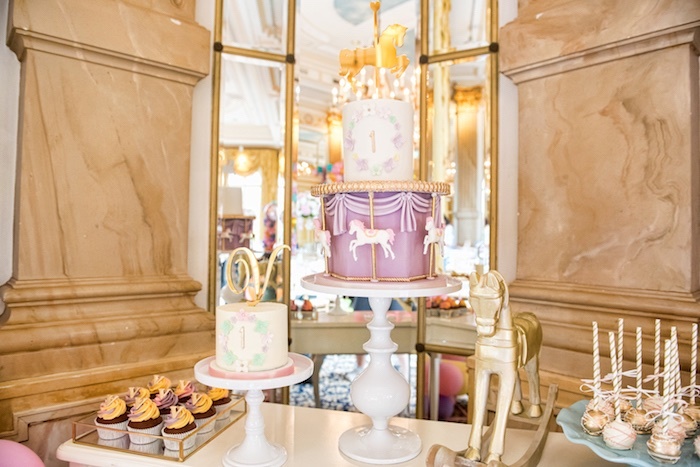 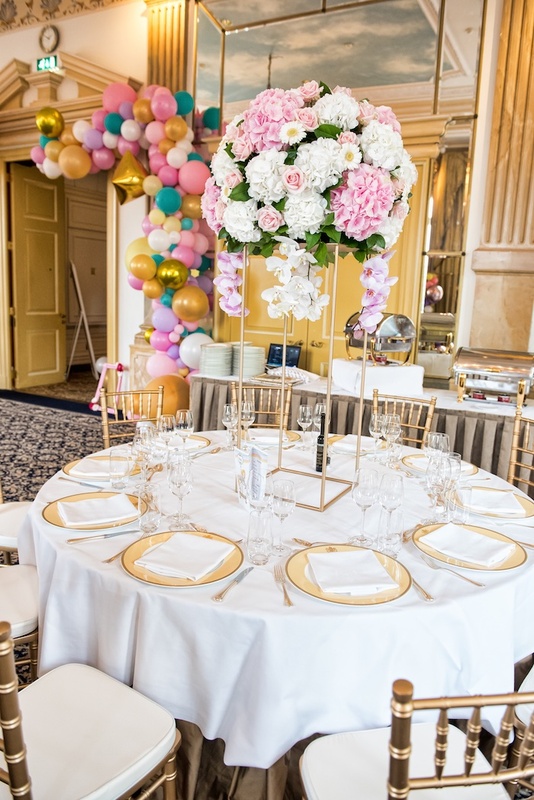 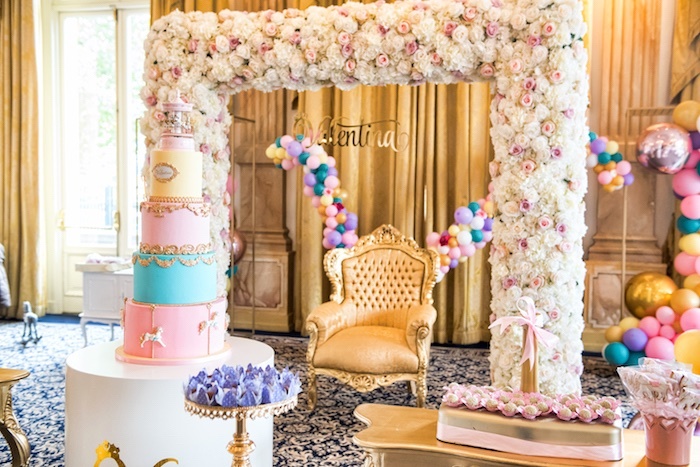 Pretty ponies and elegant golds, this Floral Pastel Carousel Birthday Party by Eliete Costa Brandão of Ateliete Events, out of Amsterdam – Holland, is full of darling details to behold! 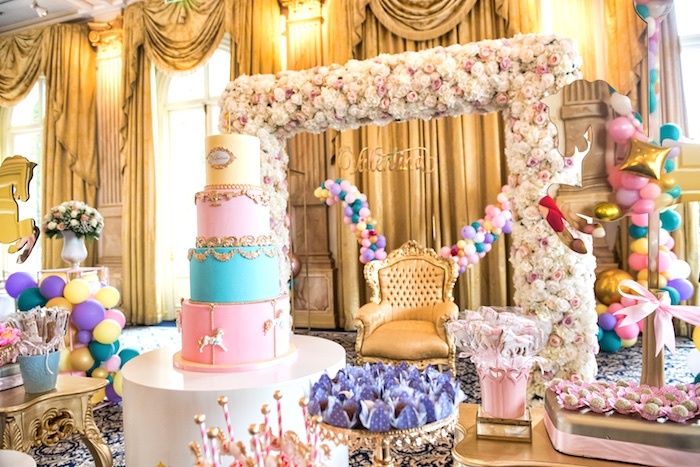 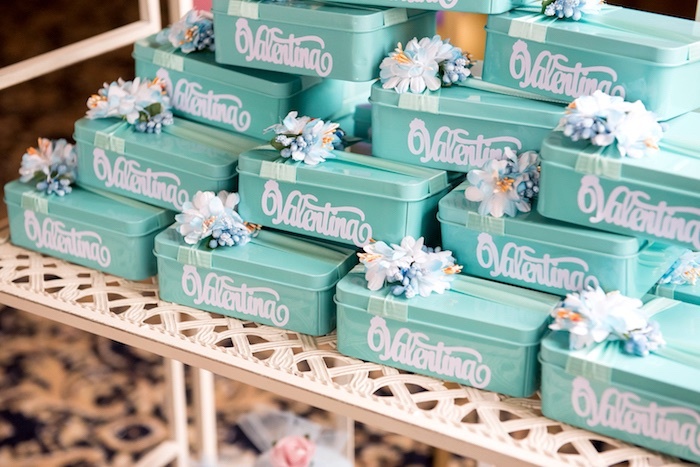 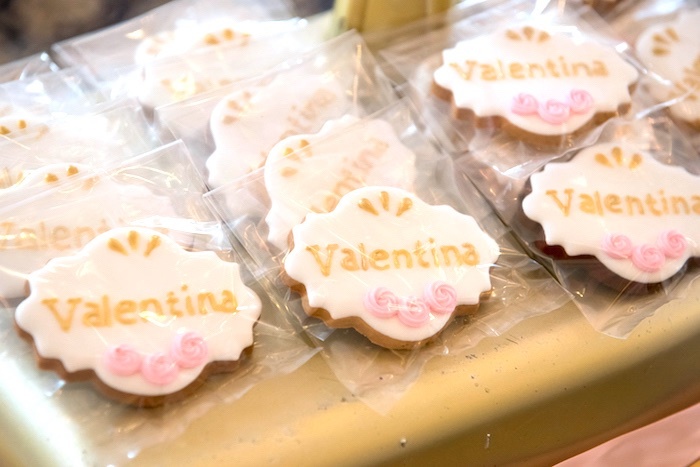 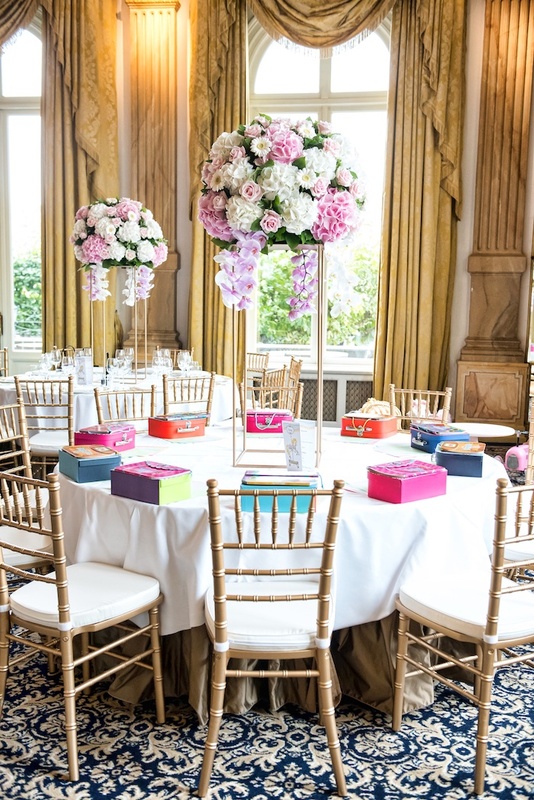 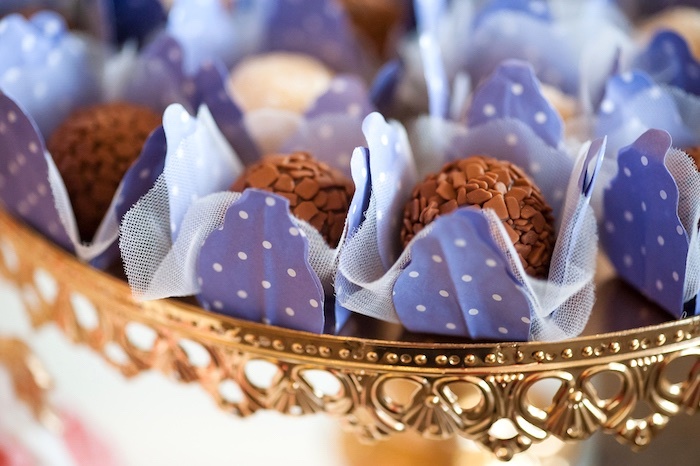 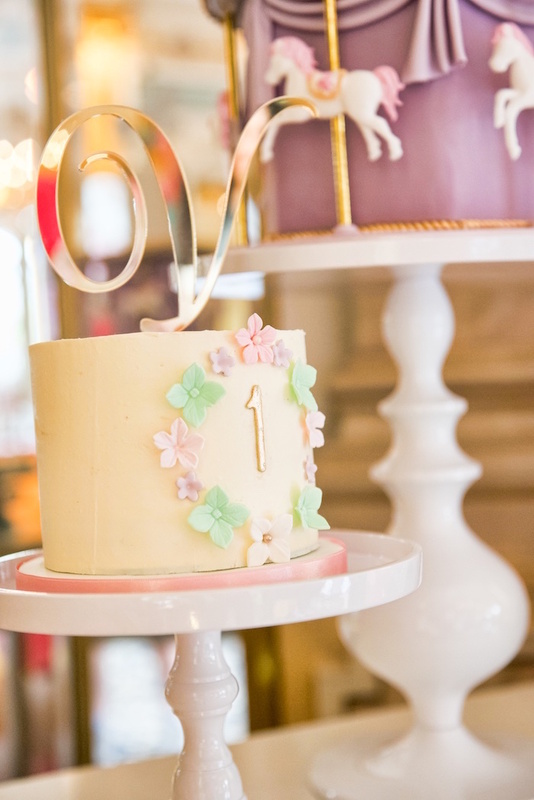 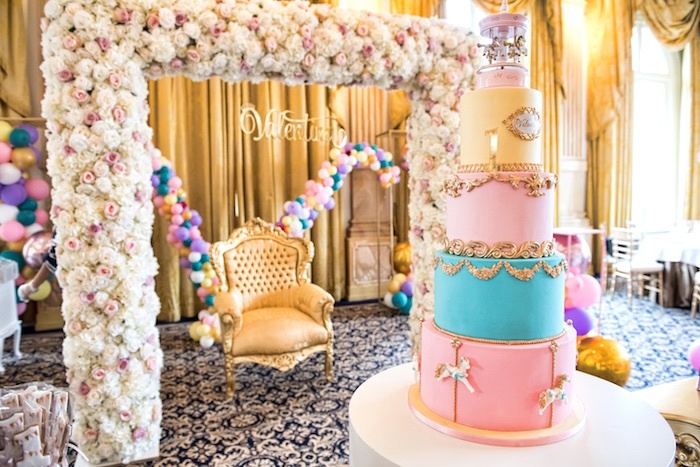 From the gorgeous cakes to the pretty decor this event is for you to adore! 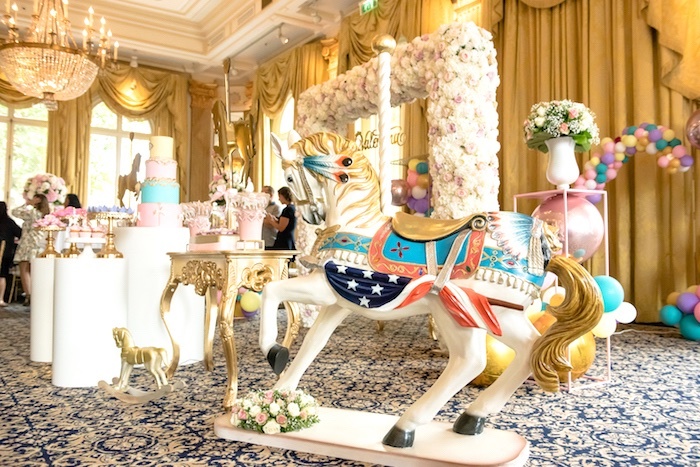 And a life-sized carousel pony! 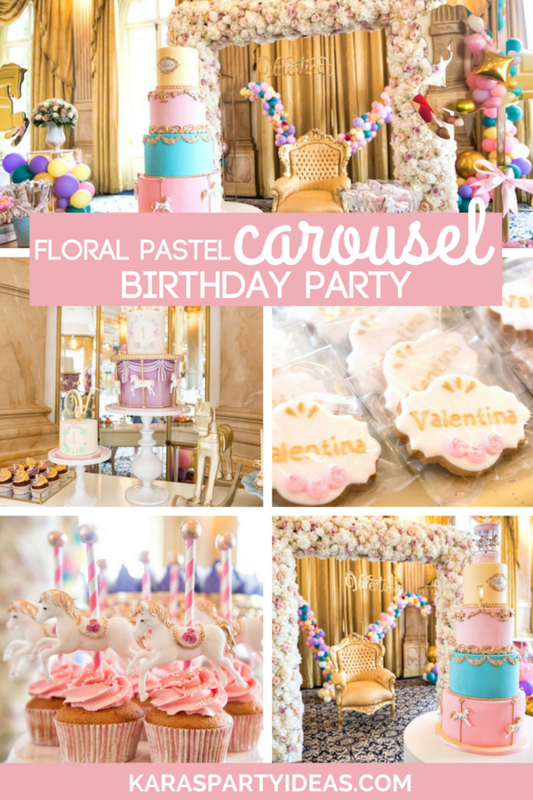 “I had the pleasure of creating this gorgeous floral Carousel first birthday party. 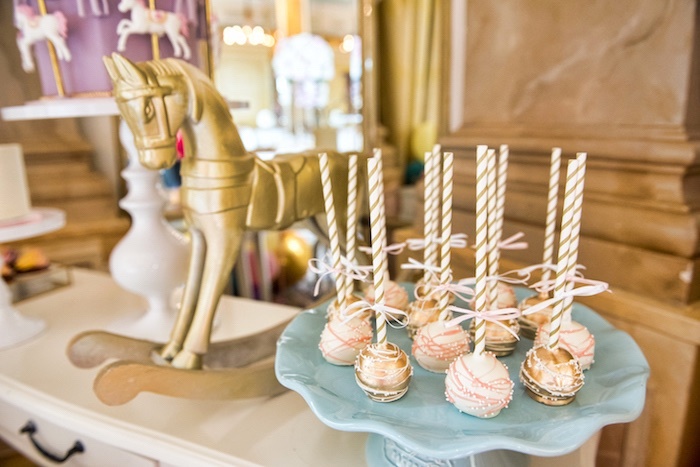 When I finally found a real carousel horse I was enchanted. 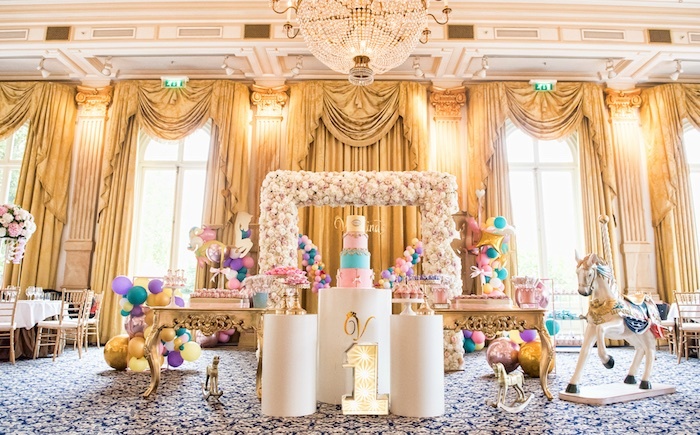 Location : The Intercontinental Amstel Hotel. 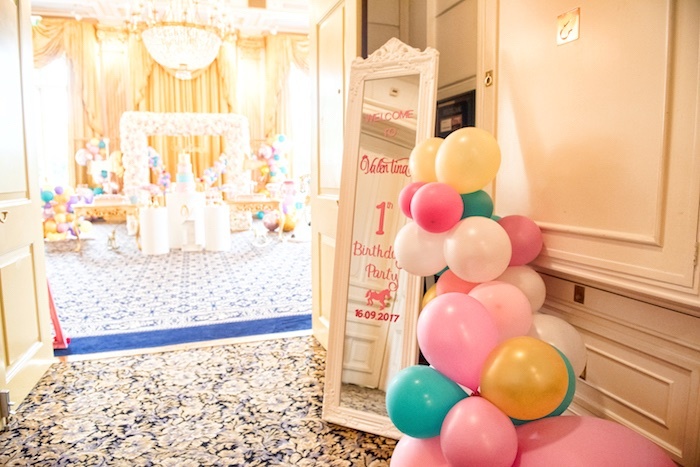 – one of the most prestigious hotels of Holland. 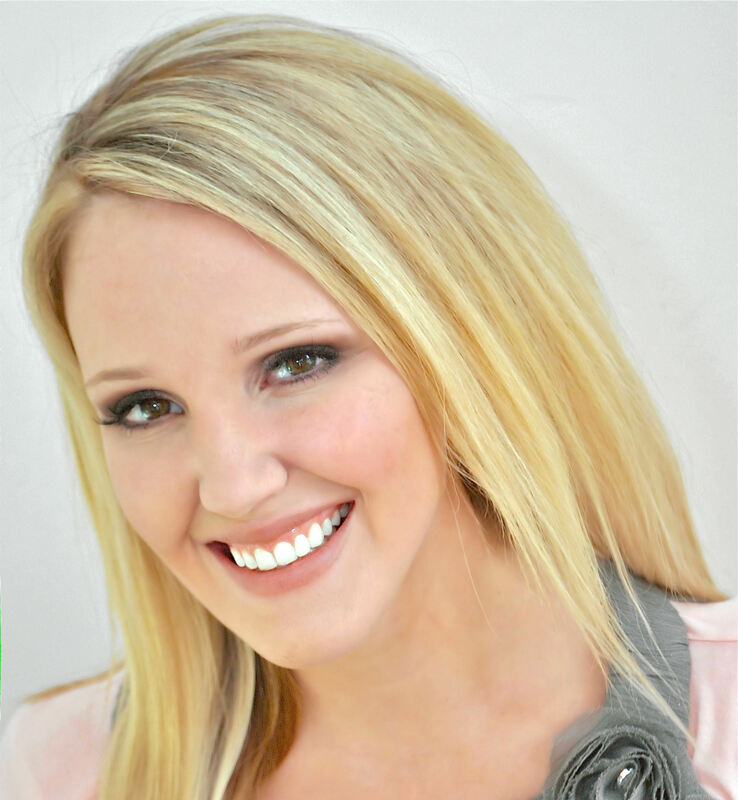 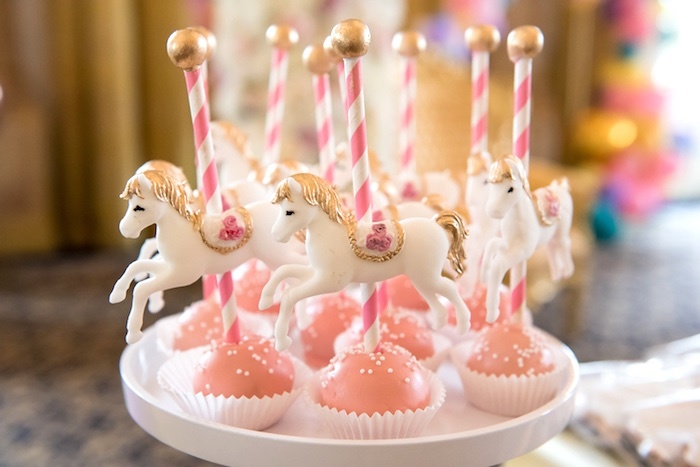 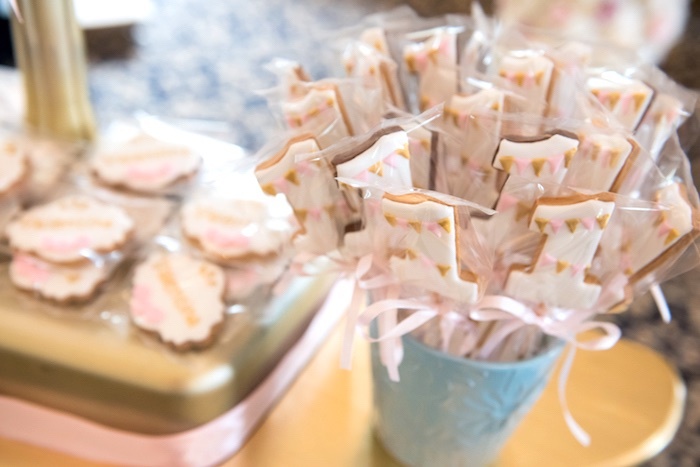 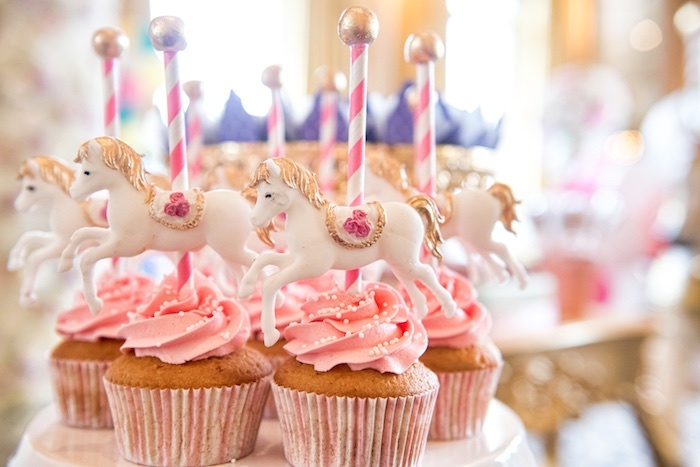 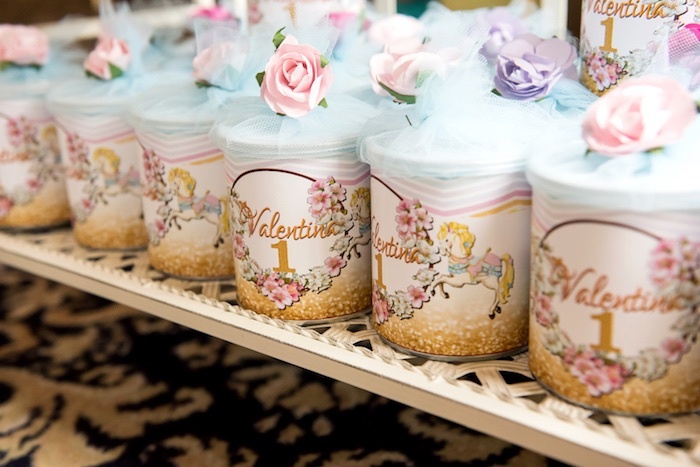 Check out all of our carousel party ideas here!